China Wind is the story of a Marine lieutenant who must face a number of leadership challenges, moving from a combat organization with clear "rules of engagement" to the Counter Intelligence Team, a group without rules. Fred Exley compared the book to the "Parable of the Prodigal." 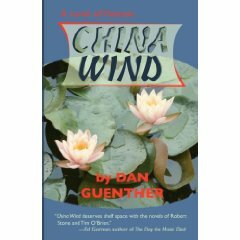 "Dan Guenther's China Wind opens the kimono on America's longest and costliest war, a war we were totally unprepared to fight and finish. His grunt-level account is a running observation of a war we entered with virtually no understanding of its nature or complexity." — Bob Fischer, Colonel USMC (Ret. ), former advisor to the Vietnamese Marine Corps, Lecturer on Strategy and Tactics of the Insurgent, Naval War College. Created in 1975, the Vietnam War Literature Collection contains imaginative accounts of Americans fighting in Vietnam. Included are fiction, plays, poetry, artists' sketches and miscellaneous works. Historical, political and autobiographical accounts as well as protest literature set outside the time or place of the Vietnam War are excluded. Holdings now amount to some four thousand items. Many works written during and after the war were issued by vanity presses, printed in short-lived journals or not published at all. Thus, identification and acquisition are challenging and still not complete. While searches for obscure items are always active, most sources for current additions to the collection are trade and mass market publishers. Scholarly and critical studies of Vietnam War literature enhance the core collection and reflect the growing interest of academic researchers and popular writers. There are numerous individual reviews, journal articles, theses, dissertations and books. Many of them are based on work done at Colorado State University. As authors have learned about the collection, a number have contributed manuscripts, drafts, galley proofs and other unpublished material. All of this is available for perusal and research. In the novels, the most common perspective is that of a combat infantryman, and many stories cover a tour of duty. A Viet Cong assassination squad exploits the Marine battle plan in Dodge City. To overcome their enemy, the Marines must reinvent their operational approach, linking with both an Australian SAS Advisor and the Republic of Korea (ROK) Marines to devleop an innovative and effective team. 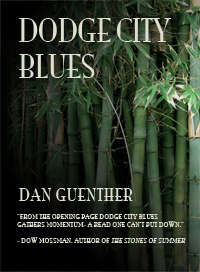 Dodge City Blues is the second novel in Dan Guenther's lost Vietnam trilogy. "Once again, as he has in China Wind, Dan Guenther takes us into the bloody and brutal combat which his track vehicles were never intended for, nor were his grunts, caught up in a different and difficult war they barely understood. He dissects his missions that are often confused and conflicting, and exposes the Yin-Yang contradictions that tear at his psyche. It is a must read for veterans of prior wars and those who wish to grasp the nuances of the universal conflict we have subjected our best to fight." — Bob Fischer, Colonel USMC (Ret. ), former advisor to the Vietnamese Marine Corps, Lecturer on Strategy and Tactics of the Insurgent, Naval War College. 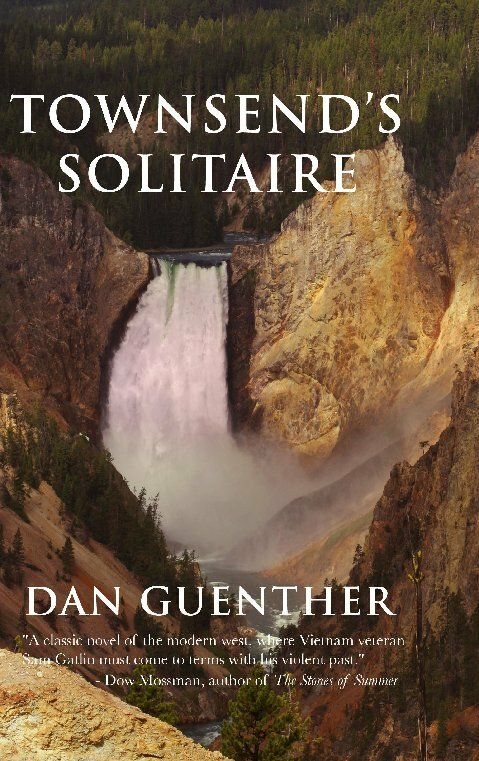 Townsend's Solitaire is the third novel in Dan Guenther's lost Vietnam trilogy. China Wind, and Dodge City Blues, the other books in the series, are available from Redburn Press on Amazon.com or BarnesAndNoble.com. "Many veterans were grabbed by the two previous books in Dan Guenther's trilogy, as I was. But all readers will discover great insights into the complexities of beautiful Yellowstone, and managing the grizzly in a pristine world where the real beasts are two-legged; and where the bears take on personalities of their own. Guenther's trilogy is a touchstone against which the list of novels about Vietnam should be judged, and ranks with the best works of that different, difficult war." — Bob Fischer, Colonel USMC (Ret. ), former advisor to the Vietnamese Marine Corps, Lecturer on Strategy and Tactics of the Insurgent, Naval War College.